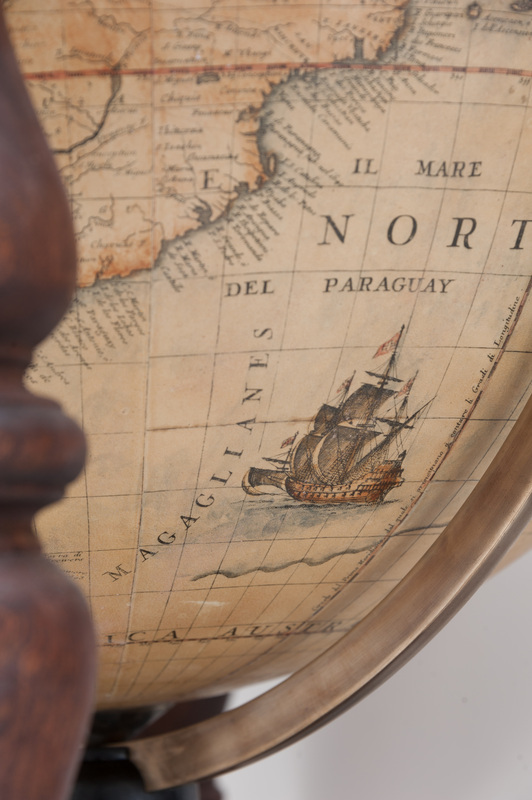 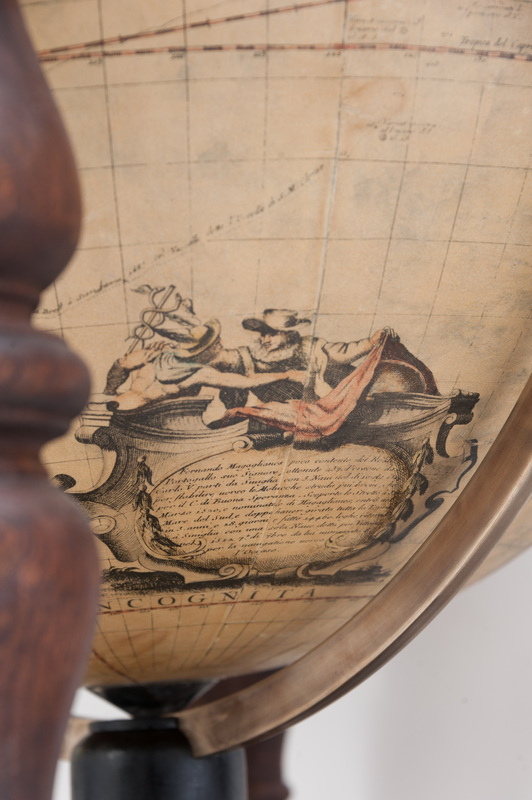 Vincenzo Coronelli (1650 - 1718 ) is widely regarded as the greatest of all globemakers. 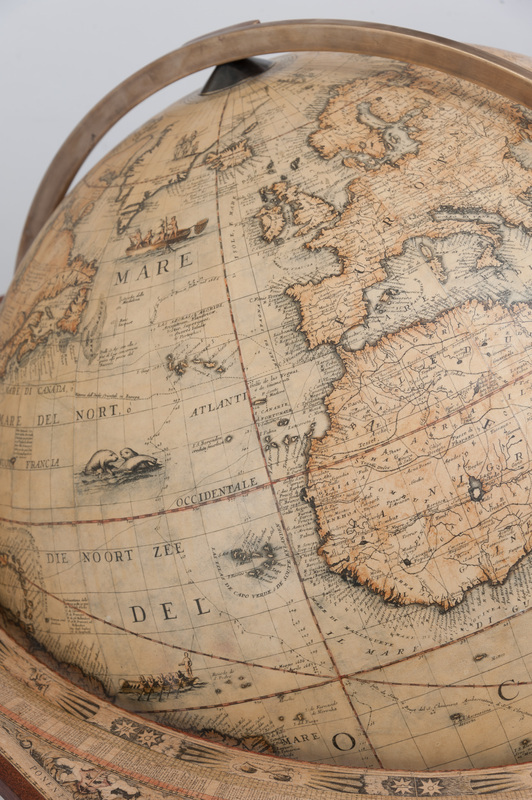 At the age of 31 he received a commission to produce the largest pair of globes ever attempted, almost four metres in diameter, they now reside at the Bibliothèque nationale de France. 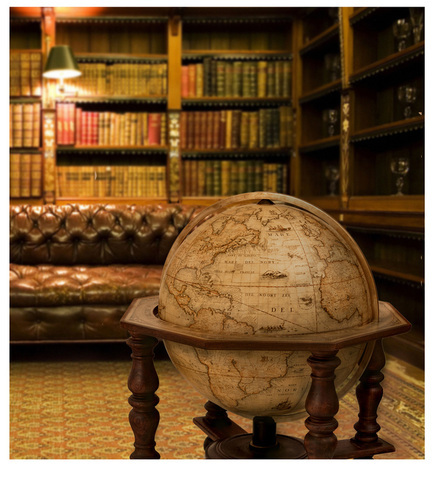 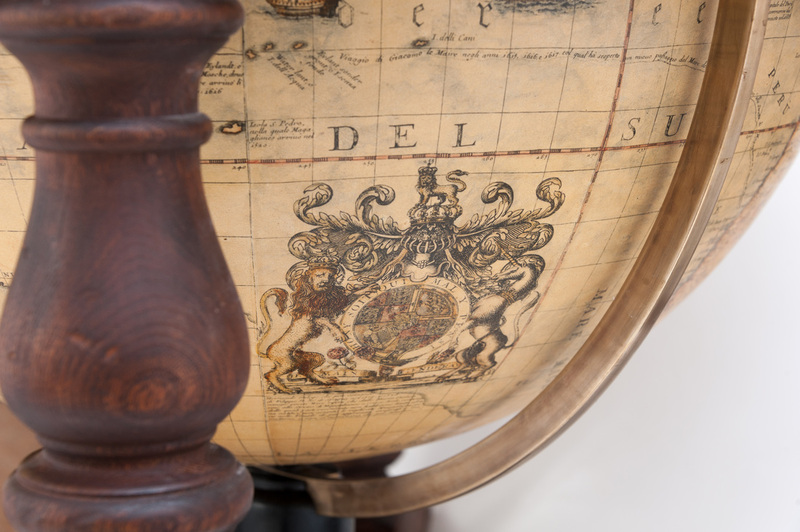 Whilst working on these globes he was provided with the most up to date cartographic and astronomical information which he used to produce globes of his own at his Venetian workshop. Here he produced globes of different sizes (108cm diameter to 2 cms ) in large numbers and he was also not afraid to innovate. 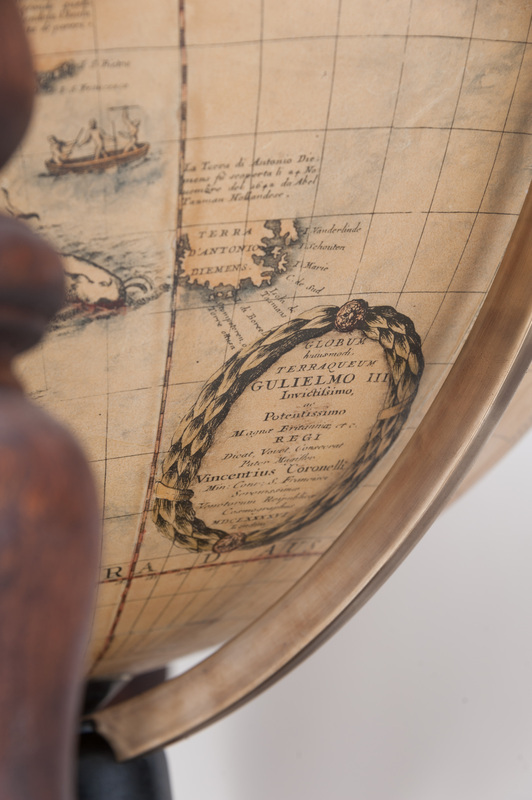 He collated all of his globes into a publication ( Libro dei Globi ) which enabled him to travel to prospective clients to show his work rather than them having to travel to Venice, and his work can be seen at important buildings all over Europe. 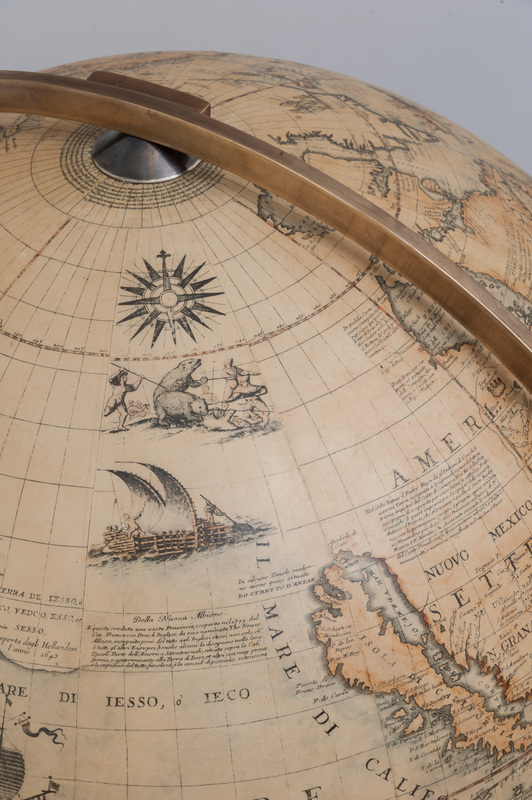 We have produced this facsimile employing identical materials and techniques the great globemaker would have used three hundred years ago. 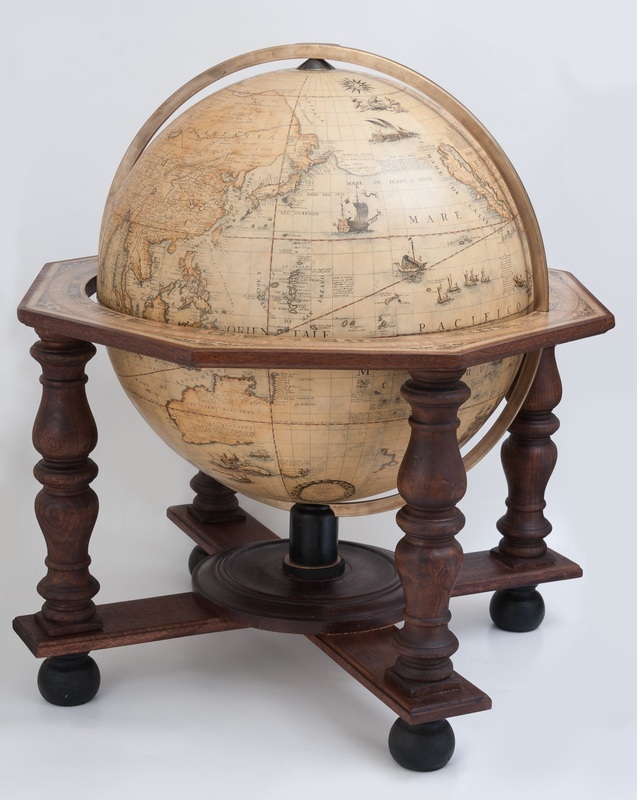 Plaster and papier-mache sphere, brass meridian ring, mahogany horizon ring with hand coloured paper, turned mahogany legs and turned base.